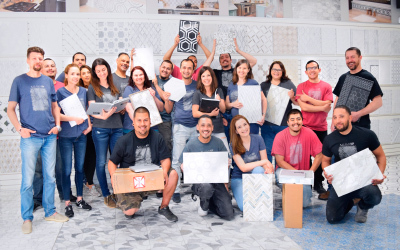 Whether you are working on a simple bathroom remodel, or a big commercial project, MIR mosaic delivers the finest collection of mosaic tiles the world has to offer. Inspired by fashion and the latest developments in the mosaic tile production we bring our clients one of the widest and most unique selection of mosaic tiles. In 2019 we continue increasing our product lines and adding even more new and unique collections. The name MIR has become synonymous with magnificence, high quality, and innovation. Our Northern California facility serves dealers and distributors in all 50 US states as well as Canada. We pride ourselves on treating every client with courtesy and professionalism, providing the highest level of service possible and offering products that will bring a lifetime of value and pleasure. The number, variety and quality of our lines permit us to meet the needs and performance requirements of almost any project, whether residential or commercial. We offer our dealers a variety of marketing tools and easy to use web site.